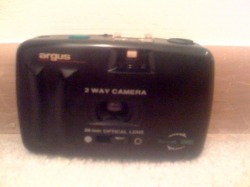 This is a antique "Argus film Camera" from the early 90's"
Ships out within 24 hours after purchase. 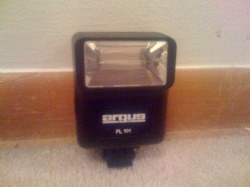 This electronic flash is compatible with the Argus film Camera above, but it's also compatible with most film cameras. 2 AA Batteries are needed. 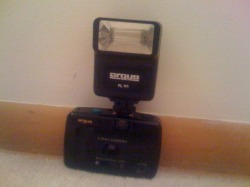 This includes both the Argus film Camera and the Electronic Flash.